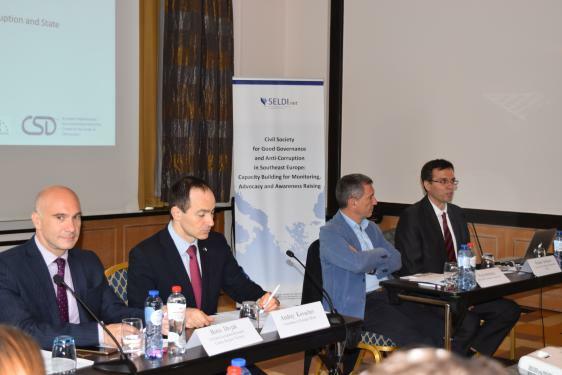 The past year has vividly exposed governance vulnerabilities in Southeast Europe and how they threaten to undermine the region’s European perspective. 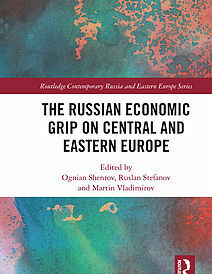 The migration crisis, the economic stagnation, and the Russia-EU geopolitical stand-off have shown the need to reinvigorate the European Union’s engagement with the region. 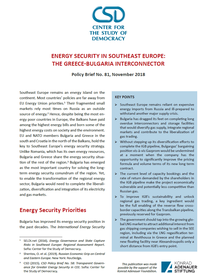 A critical part of this engagement remains the need to reduce corruption and state-capture vulnerabilities in Southeast Europe, in particular in the energy sector. 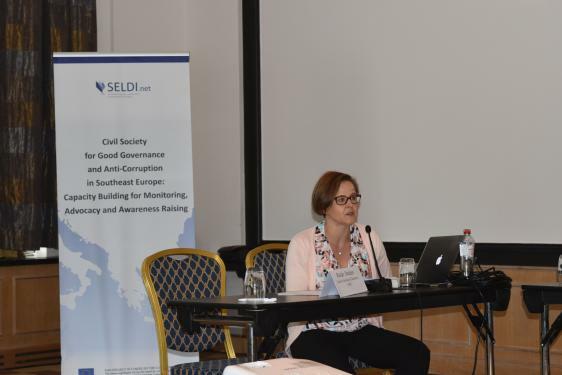 At a policy workshop on 14 June 2016, http://seldi.net/SELDI, the largest anti-corruption coalition of civil society organizations in the region, coordinated by CSD, presented to the policy community in Brussels the results of its 2016 Corruption Monitoring System in SEE and its ideas for counter-measures. 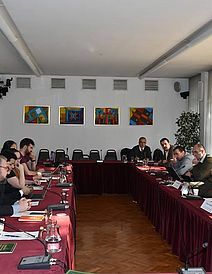 The participants underlined that having good laws and institutions are good first steps, however they need to be accompanied by political will and change of mentality. 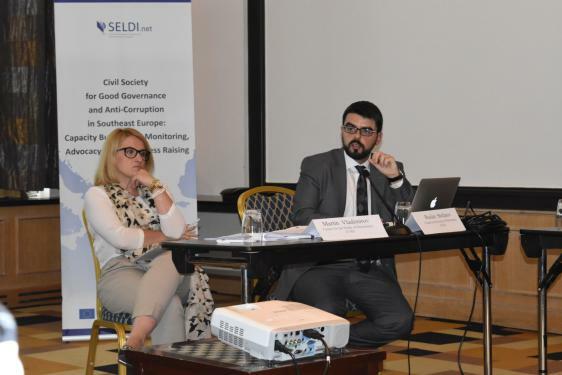 The countries from Southeast Europe need to focus not only on the fight against corruption, but also on making institutions efficient, as recommended by Mr. Andrey Kovatchev, Member of the European Parliament, Committee on Foreign Affairs. It is important to create a new generation that is educated in democratic values. 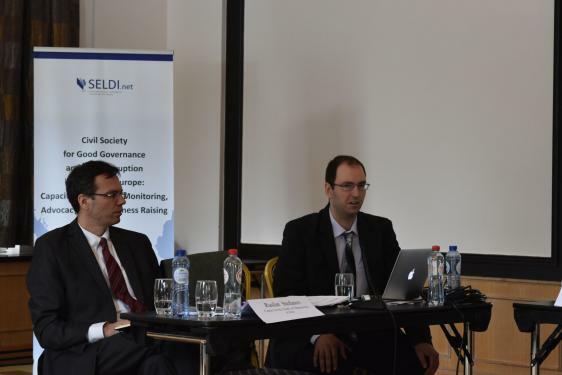 Anti-corruption education is underestimated and should start at the school level. 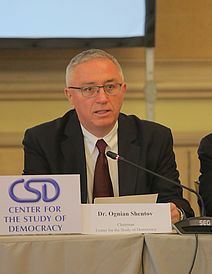 People should not believe the populistic propaganda, which makes the EU integration process even slower, as was seen in the case of Macedonia. 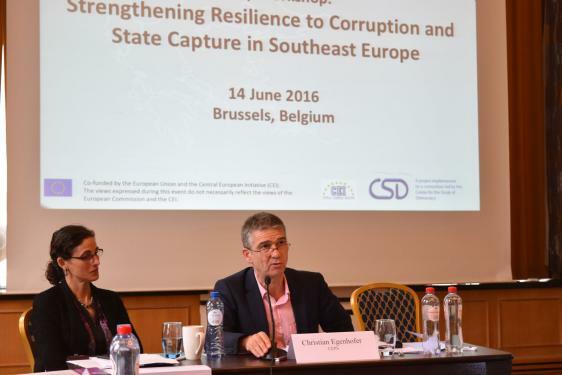 It is encouraging that most people from the region see corruption as a problem and still recognize the need for EU support, despite the delay in EU enlargement. 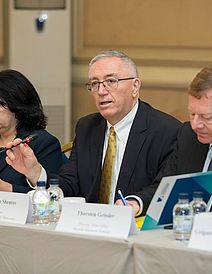 Furthermore, Mr. Boris Divjak, Director, U4 Anti-Corruption Resource Centre, Bergen maintained that the EU accession process is key to removing the county-level monopolies, increasing economic prosperity, and lowering administrative barriers to free trade and business. 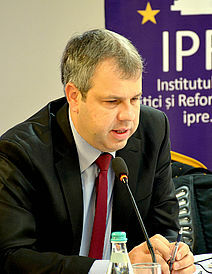 The Cooperation and Verification Mechanism (CVM), as well as the new approach of opening chapters 23 and 24 earlier in accession negotiations have the potential to push the necessary long-term reforms, beyond the term of a single government. Countries need to have sustainable and effective anti-corruption mechanisms that are systematically used to expose illegal wealth. 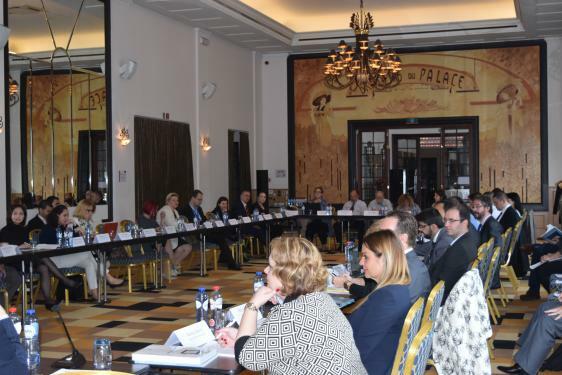 However, countries have recently started to embrace soft preventive tools, and effective enforcement is missing, according to Ms Sabine Zwaenepoel, Chapter Coordinator, Accession negotiations to the EU, Directorate-General for Neighbourhood and Enlargement Negotiations, European Commission. Independent civil society, autonomous from government, private interests or radical movements, could have a central role in monitoring reforms and applying political pressure for change. 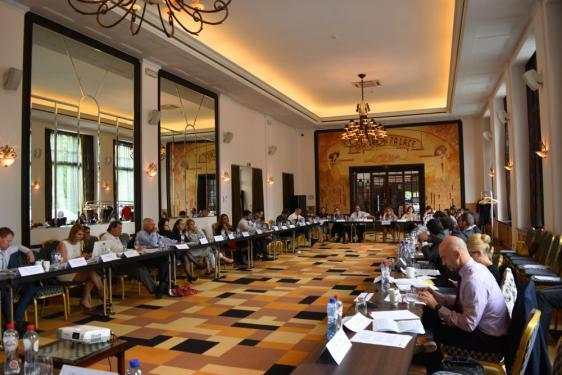 Additional, strong drivers of reform can present cross-border and regional coalition building, and apply best practices, external expertise and views from lawyers, economists and sociologists. 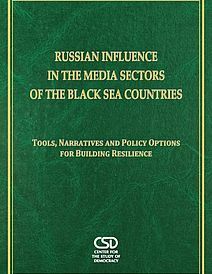 Hence, civil society organizations (CSOs) should identify and carefully select their allies among the most efficient government institutions, media and businesses. They should also use online social tools to achieve long-term advocacy and impact, and demand access to public data that is managed and available in electronic form. 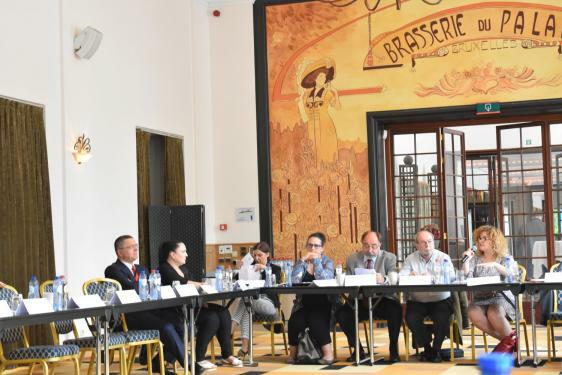 The European Commission’s Directorate-General for Neighbourhood and Enlargement Negotiations is contributing to the creation of an environment for transparent governmental funding of CSOs, which does not suffer from burdensome procedures. However, further efforts are necessary in ensuring that the CSOs really represent the needs of the society. They need to establish honest relations with governments, instead of being seen as critics or enemies. Recent events show that going to the streets in protest does not provide real solutions, until the CSOs or institutions offer detailed reform mechanisms, based on reintroducing accountability. Shortcut solutions are often characterized by populism, and it should be clear that reforms take time - changing laws and creating new, abuse-proof procedures and regulations. This systemic change can only be achieved if the nature of corruption and state capture is understood as a complex and often transnational phenomenon. 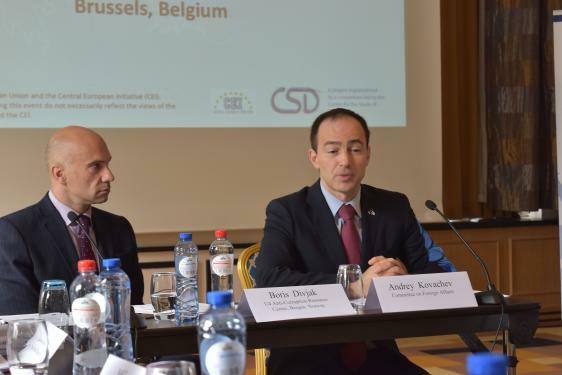 Anti-corruption agencies need sufficient power, financing and staff, as well as true independence, according to Mr. Julien Mousnier, Deputy Head, Citizens and Security Unit, Policy Co-ordination Directorate, Secretariat General, European Commission. Institutions such as the Special Public Prosecutors should be using all legal mechanisms available to them to determine which individuals unlawfully gained assets, and to return these assets to the people. 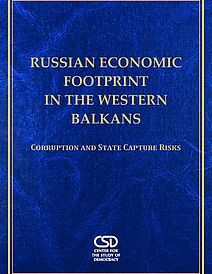 However, in cases such as Macedonia, the work of the Special Public Prosecutor of the Republic of Macedonia, Ms. Katica Janeva, is hindered by the refusal of cooperation and access to information from other public bodies. 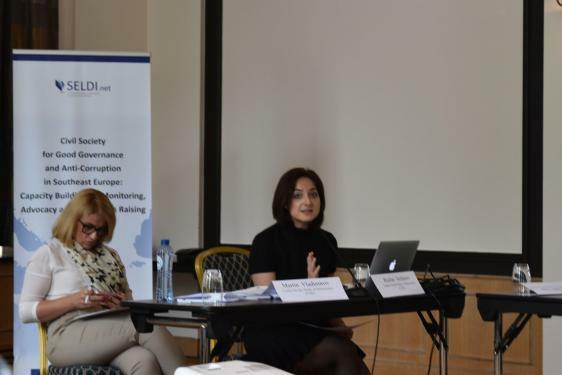 As highlighted by Ms. Milica Bozanic, Assistant Director for International Cooperation at the Serbian Anti-Corruption Agency, anti-corruption plans and strategies do not truly drive or guarantee results of anti-corruption reforms. 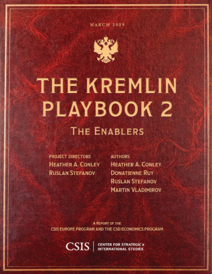 All institutions should have the necessary political will in order to achieve the desired change, with a key focus on tackling high-level corruption and ensuring whistleblower protection. Unfortunately, political appointments and promotion systems exist, including in the institutions that should fight corruption. 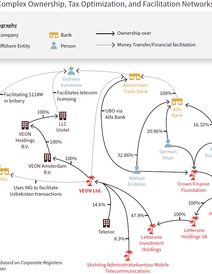 State capture channels exist in natural monopolies, such as in the energy sector. 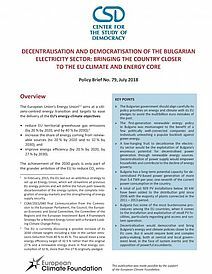 Of particular concern are the energy security challenges for SEE: excessive dependence on energy imports; reliance on a limited number of energy suppliers; high energy poverty levels; unsustainable energy intensity and demand; and persistent energy governance and corruption risks. The corporate governance of state-owned enterprises (SOEs) is characterized by political meddling in the day-to-day operations; non-transparent staffing procedures; prevalent political affiliations; conflicts of interest; and limited management transparency and accountability. CSOs and governments should look for several red flags: unfavorable financial indicators of SOEs, debts, and public procurements that prioritize a single company, especially in the construction of sometimes unnecessary infrastructure. 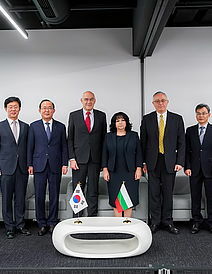 The speakers recommended several key energy security and diversification solutions: improving gas interconnectors, reduction of the level of monopolization, independence of the regulatory authorities, and implementing the Third Energy Package.